Though birth control pills, also known as oral contraceptives or “the pill,” are commonly prescribed, understanding all the facts about this medication can help you make informed decisions about the type of birth control you use. Birth control pills release small amounts of a version of the hormones estrogen (estradiol) and progesterone (progestin) that prevent pregnancy in 3 different ways: suppressing ovulation, which is the body’s monthly release of an egg; creating thicker cervical mucus so it’s more difficult for sperm to get into the uterus; and thinning the lining of the uterine wall so that if an egg is fertilized, it’s unlikely it will be able to implant and grow. 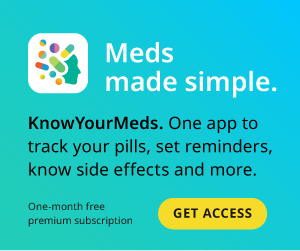 Though birth control pills are most often used for contraceptive purposes, their methods of action allow them to be used for other purposes such as relief by women experiencing heavy periods, endometriosis (tissue found inside the uterus grows outside it), acne, painful cramps and polycystic ovarian syndrome (PCOS). Most combination pills come in 28-day pill packs. The first 3 weeks worth of pills contain active hormones while the final week are placebo pills. If the pills are taken as directed during the first 21 days, a woman should be protected against pregnancy during the placebo week, when she will typically have a lighter than normal period. Birth control pills can have many and varied side effects, but these are less likely to occur with the mini pill. The most common are breast tenderness, migraines, moodiness, weight gain, menstrual changes and nausea. However, these side effects are typically mild and go away after a few months of treatment. If they persist, your physician may switch you to a different medication. Serious side effects include blood clots, high blood pressure, stroke and heart attack. These effects are more likely in women who smoke; are over 35; have blood-clotting disorders, diabetes or high blood pressure; or who are overweight. Warning signs of more serious problems include chest pain, stomach pain, severe headaches, swelling in the legs, breathing difficulties or blurred vision. Seek medical help right away if you experience any of these. J. Scheel, 37, started on Ortho Tri-Cyclen at age 15 for dysmenorrhea (severe cramps). She experienced weight gain and her periods stopped completely. When she was 21, her cramps came back, so she switched to Depo-Provera, an injection. At 32, her doctor put her on Jolessa, another pill, but it didn’t help her dysmenorrhea at all, so after about a year, she switched back to Depo-Provera. Michelle Decker, 41, has been on Zovia/Kelnor since she was 20, with a break to have her child. Though she has experienced side effects such as severe headaches and a one-day period, she says the headaches aren’t bad enough to warrant a switch. Her headaches, which have always started the day before her period and lasted a few days, vary in severity; sometimes she can ignore them and sometimes they require popping pain relievers all day. She says they seemed to be worse when she was on the name-brand version, Zovia. Certain drugs, particularly antibiotics and anti-seizure medications, may decrease the pill’s effectiveness. Some HIV medications, herbal remedies and anti-fungal medications may also be problematic. Be sure to let your doctor know about any medications, whether prescribed or over-the-counter, supplements or herbs you’re taking. Because of the variation in the amounts of hormones they contain, it can take trying a few different types of pills before finding one that causes the least troublesome side effects. Birth control pills work best if they are taken at the same time each day. In general, 5 to 9 women in 100 using birth control pills become pregnant each year. When the pill is taken at the same time every day, 2 to 3 women out of 100 will get pregnant. The mini pill is slightly less effective than the combination pill. If you miss a pill, take it as soon as you remember and be sure to use a backup contraceptive method until you finish your pack. In the case of the mini pill, if you don’t take it within 3 hours of your normal time, you will need to use a backup method for 48 hours. Vomiting and diarrhea can lessen the effectiveness of the pill, so if you get sick, be sure to have another contraceptive method such as condoms or spermicide available. Birth control pills do not protect against sexually transmitted infections (STIs). There are many alternatives for contraception, including barrier methods such as condoms, spermicide, sponges or diaphragms; IUDs (intrauterine devices); a progestin shot called Depo-Provera that is given every 3 months; the birth control patch, known as Ortho Evra, that gets changed every week; the vaginal ring and fertility awareness methods.